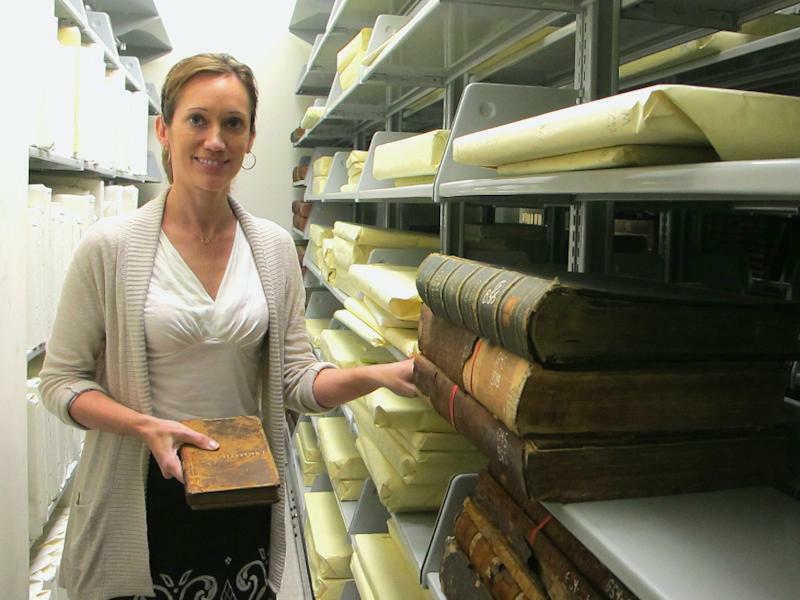 CHARLESTON, S.C. (AP) — A rare book almost 270 years old has been found in the vault of the oldest library in the South, but after all this time the library won't be able to keep it. 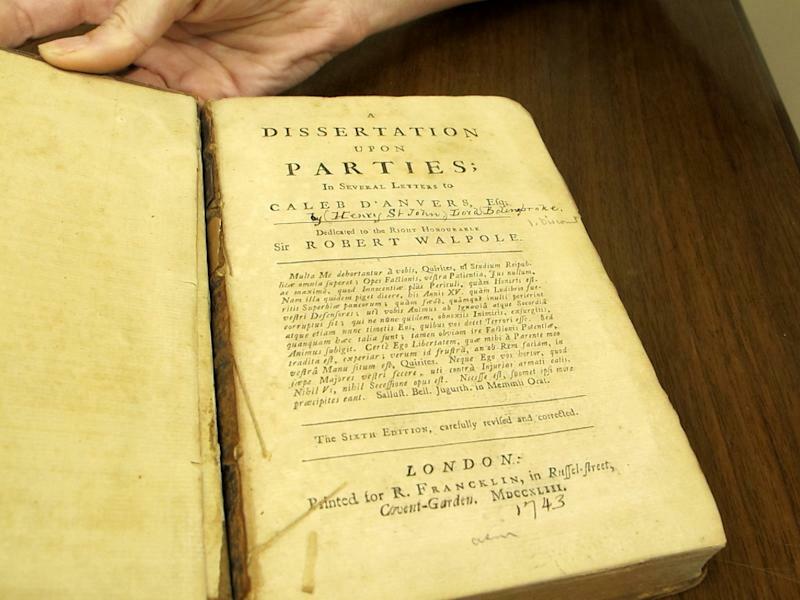 The 1743 tome, "Dissertation Upon Parties" by Henry St. John Lord Bolingbroke, was one of 800 volumes that planter and diplomat John Mackenzie donated to the College of Charleston in the 1700s. His library was housed at the Charleston Library Society, founded in 1748, until a proper library could be built at the fledgling college. But a devastating 1778 fire ripped through the Library Society and only 77 titles from the Mackenzie collection were thought to have survived. The 78th, the Bolingbroke book, was found as part of a multi-year search through the Library Society vaults to record the thousands of volumes it contains. 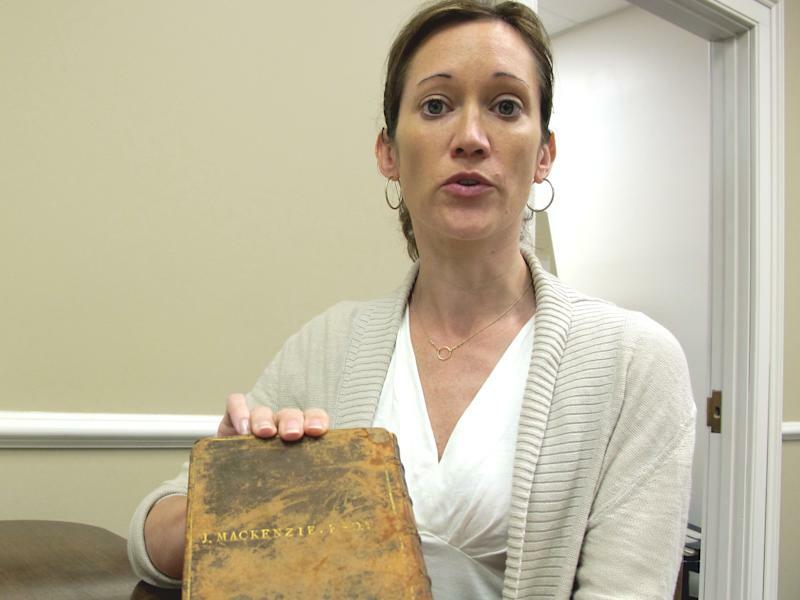 After centuries, the book about political parties, with Mackenzie's name embossed on it, will be returned to College of Charleston officials at a ceremony on Thursday. A check of the Internet showed that 15 copies of the Bolingbroke book remain in existence, mostly in academic libraries. The survival of that many copies of a book that's almost 270 years old shows it was popular at the time. Library records show the society used to have two copies of the Bolingbroke book. Library archivist Trisha Kometer says the contents of its vaults, one of which is located behind an antique shop on Charleston's King Street, remain unclear. "We have lists but because the library itself has been moved from place to place to place, the collections have been integrated, they have been pulled apart and a lot has gone on during the years," she said, making it difficult to tell for sure. During the Civil War, for instance, the collection was moved from Charleston, which was bombarded throughout the war by union gunners, to the state capital of Columbia 120 miles inland. The recent search of the archives has already turned up several other gems that librarians didn't know were there. They include two letters written by Alexander Hamilton and a unique third letter written by John Marshall, chief justice of the U.S. Supreme Court, to South Carolinian Charles Cotesworth Pinckney, who helped draft the Constitution. "It was written the day that Thomas Jefferson was sworn in (as president)," Kometer said. "John Marshall was the one who actually swore him in. He started a letter to Charles Coatesworth Pinckney in the morning and then he took a break and came back at 4 o'clock to finish the letter and said I have just administered the oath."